Nanaimo is one of the fastest-growing cities in Canada, and for good reason. With a mild climate, breathtaking coastal scenery, and a growing number of amenities for residents of every age, our beautiful city has a lot to offer. However, it's no secret that Nanaimo's real estate market is booming, and current homeowners are consistently surprised when they find out how much their home is worth. Many first-time buyers are a little surprised when they find out that what they can afford and what's available in their price range doesn't match their expectation. You may have spent the last few years dreaming of a home with granite countertops, modern finishes, and high-end appliances, and it can be hard to accept that those features may be out of your initial price range. While you may not be able to afford your dream home right now, starting to build your own equity is a very important first-step on the path to getting there in the future. Plus, there's always the possibility of renovating in a year or two to incorporate nicer finishes and high-end appliances down the road. After asking all of the important questions to friends, family, homeowners, financial advisors and so on, gauging the affordability of buying a house can still be tricky. One of the best ways to see where you stand can be found by using the Real-Life Ratio (RLR) spreadsheet. The RLR was created to see how you can manage a mortgage, utility and property maintenance costs, and other important things like daycare, car loans and last but not least, long-term savings. Many people follow the rule that a house should only cost up to three times your gross salary. 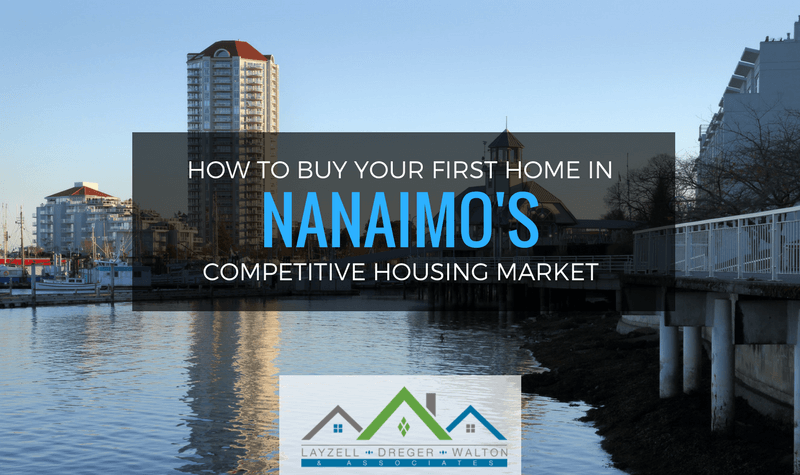 New homeowners should also keep in mind that although it might not always be possible in Nanaimo's bustling real estate market, try to keep your total housing payment under 30 percent of your gross monthly income. Otherwise, you may find yourself in trouble when spending much more than that percentage on your mortgage. Indeed, you may be "house rich", but this will hinder your progress in saving or covering other monthly expenses. First and foremost, if you are saving for a down payment and want to keep your credit score in check, it's best to keep track of where your money goes. An easy way to do that is to automate your savings account and make use of accounts like RRSPs and first time homebuyers plans. Experts in this field don't recommend putting savings into the hands of stocks or bonds, as you never know when a market could become volatile. It's better to place savings into a high interest account for 1-2 years before you think of buying a home. Another useful tip is to put tax refunds from your RRSPs into your TFSAs to help with your down payment on a house. Credit plays a huge role in purchasing of a house so if you'd like to improve your credit score in a fast way, consider downloading credit monitoring apps a couple of years before buying a house. Something else to consider is paying off credit balances outright and discontinue using credit cards up to two months before applying for a mortgage. Avoid applying for credit until after you have closed on your new home, unless recommended to by your mortgage broker. If your credit score is a little low, start saving cash for a healthier down payment. Last but not least, organize all bank statements necessary, asset documents, paystubs, and tax returns, before heading to a lender. Buying your first home is a big milestone. After all of the work that's gone into getting your finances in check, you deserve to work with a Realtor you feel has your best interest at heart, or an agent who is savvy in their skillset. Researching reviews and looking for referrals on agents who understand your needs is a great place to start. It's also important to find a Realtor that will help you get the best investment out there. Once you have selected a few agents, interviewing will clarify whether or not they know exactly what you are looking for as a first-time homeowner. Realtors will shed light on current market trends, as well as steer you towards appropriate mortgage options. Some may even share their network of preferred lenders to you! Getting to the point where you have done all the hard work in saving and preparing your finances, sometimes people leave mortgage shopping to the last minute which can be a disaster if you are bidding swiftly on a property. Nobody wants to see their dream home go to someone else, so it's a great idea to educate yourself of all mortgage options and getting pre-approved before you find a house. Mortgage pre-approval is typically a free and a non-binding process, and it shows that you're a serious buyer to any seller when you are organized!